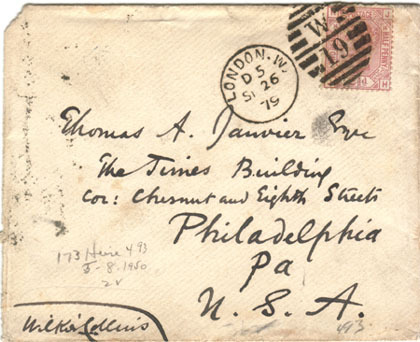 Thomas Allibone Janvier (1849-1913) was a storyteller and historian born in Philadelphia. Only the envelope is known. There is no identified letter to Janvier. 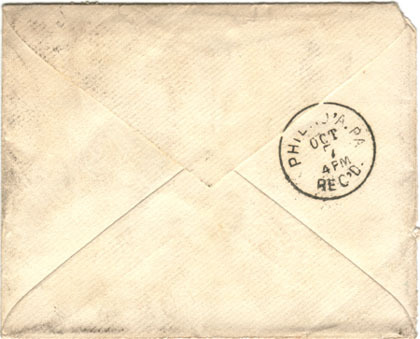 The postmarks indicate that the letter took 11 days for its journey from London to Philadelphia.